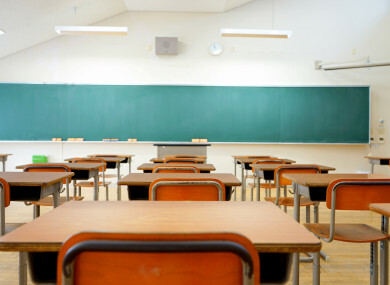 TWO MORE SCHOOLS in Dublin have been ordered to close with immediate effect over structural problems following an inspection by the Department of Education. Today, concerns were raised over buildings constructed by Western Building Systems at Tyrrelstown Educate Together School and St Luke’s National School in Tyrrelstown. It follows the closure of a building at Ardgillan Community College in Balbriggan this week, after concerns about its structural integrity was flagged by engineers. In a statement this evening, the Department announced that both schools in Tyrrelstown would close with immediate effect. The Department said it was working with authorities in both schools to provide interim accommodation for more than 1,200 pupils who would be affected. It is hoped that interim accommodation will be in place by the time pupils return to school after the mid-term break on 5 November. “The Minister and the Department acknowledge the disruption that school closures have on families and parents, students and staff of the affected schools will be kept fully up to date with developments,” a spokeswoman said. The Department added that today’s inspections did not identify any imminent danger, but that the schools were closing as a precautionary measure and to allow for further inspections. Inspections of other schools built by Western Building Systems over the last ten years, ordered by the Department following the closure of Ardgillan Community College, are ongoing. Speaking on RTÉ’s Morning Ireland today, Minister for Education Joe McHugh said that during fire assessments at a number of schools, “various degrees of deficiencies” had been identified. He said there were “ varying degrees of fire concerns and safety concerns – minor to major – in the WBS [Western Building Systems] schools”. McHugh said that these schools were built in the context of the “rapid build” programme back in 2008 and said that it may be a case that they were built “too quickly”. The Department is continuing to engage in legal proceedings against WBS over a small number of schools, and McHugh added the litigation process will help firm answers to those questions. A total of 30 schools have been identified for examination in Dublin, Laois, Kildare and Cork. In a statement this evening, a spokesman for Western Building Systems said the company recognised the importance of the issue, particularly for pupils, parents, and teachers at the affected schools. The company added that its integrity had never been questioned until now, and that it was now interested in getting to the bottom of the reason behind the closure and establish the facts to better understand the what had happened and to resolve the issue. With additional reporting by Stephen McDermott. Email “Two more Dublin schools closed with immediate effect over structural problems”. Feedback on “Two more Dublin schools closed with immediate effect over structural problems”.